At Ora Dentistry, we believe that all patients deserve a comfortable dental care experience. While our office provides a full menu of soothing amenities and a caring staff, we realize that some patients need additional help to be able to relax in the dental chair. Therefore, our Elk Grove practice proudly offers sedation dentistry, which includes options in oral conscious sedation as well as IV sedation. 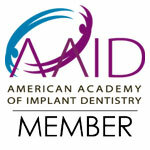 In fact, Dr. Dalla is among an elite group of dentists who are licensed to administer IV sedation. Intravenous sedation can be considered as “twilight” sedation. It offers a deeper level of sedation for patients who have a severe dental phobia, special needs or an extensive procedure. While you can expect to be in a fully relaxed state during your treatment, your IV sedative can be adjusted at any moment if necessary. IV sedation is completely safe and the effects wear off quickly after the IV is removed. However, patients will need to arrange for a ride home after their appointment. Oral conscious sedation is another form of sedation that we offer at Ora Dentistry. It involves taking a sedative pill about an hour before your appointment time. This is typically enough to help patients feel at ease and unbothered by the dental work being done. You can still communicate freely with our staff, yet some patients choose to take a nap during their treatment. There are many reasons why patients take advantage of sedation dentistry. Whether you have a fear of needles or had a bad dental experience as a child, we are equipped to treat your dental anxiety and help you receive the dental care your smile needs and deserves. Could sedation dentistry help you follow through on your dental care appointments? Whether it is a simple routine cleaning or a complex restorative procedure, we are happy to provide a comfortable experience for you. Contact our office today to learn if IV sedation or oral conscious sedation is right for you.